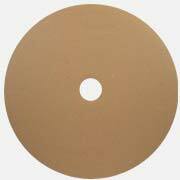 Circle's Elite Edge Grooving capability goes beyond the industry standard "unitized board" or "routed board" and produces a product with a higher level of quality and performance. 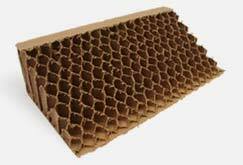 Elite Edge "V" groove technology is used in specialty packaging applications by companies that want to promote their brand and separate themselves from the crowd. Our unique process produces the cleanest and deepest groove available for maximum flexibility and the sharpest edge. Can groove .040 pt. - .140 pt. 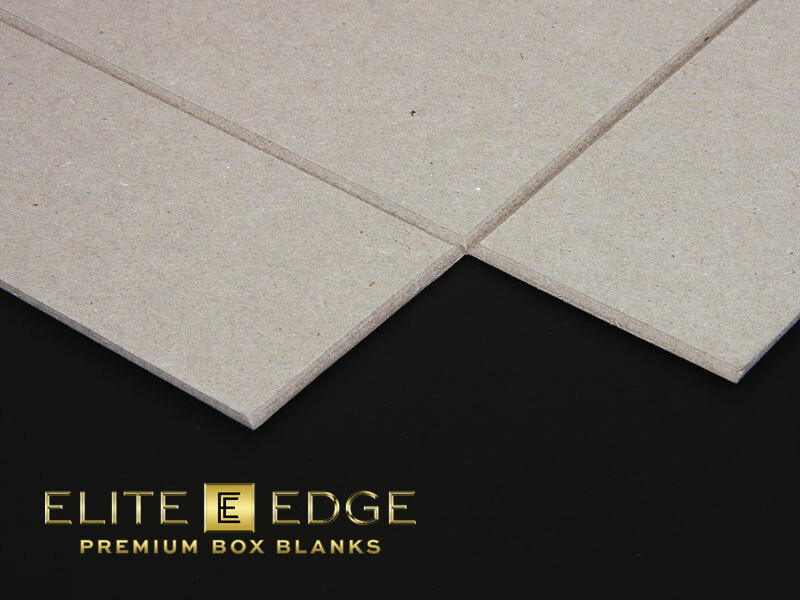 Elite Edge Premium Box Blanks gives a true 90-degree edge and is used in high end cosmetics packaging, electronics packaging or other specialty products where image matters. 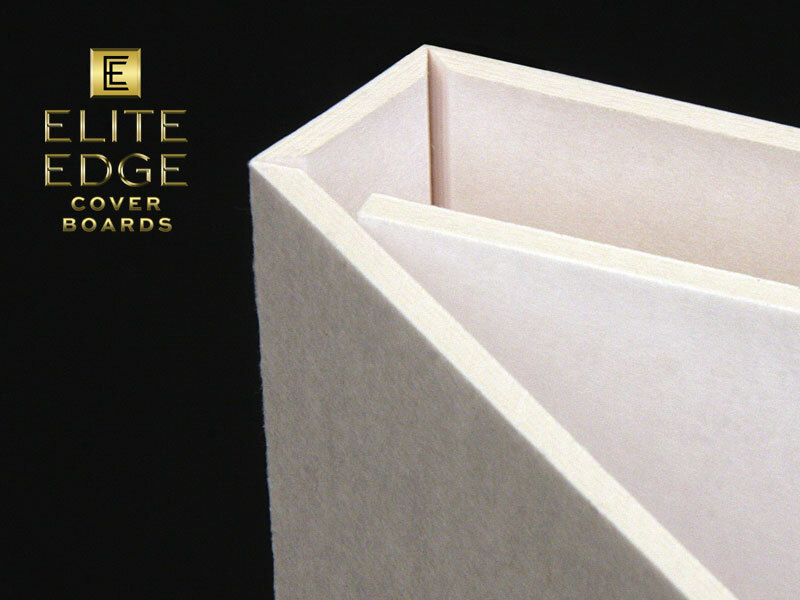 Elite Edge Media (CD/DVD) Cover Boards are used for special edition or collectors' edition multi-media packaging. 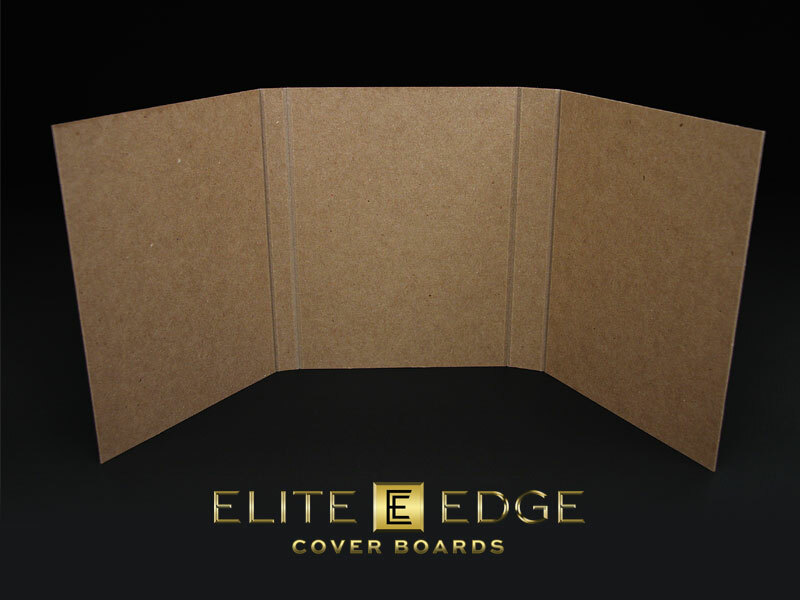 Elite Edge 3-Ring Binder Cover Boards are used in presentation or corporate binder applications. Other applications include: carpet/flooring sample books, digital print canvas frames, chipboard easels or other custom grooved projects. Not all applications listed above may call for an Elite Edge so we also have the capability to produce a wider "Flat" groove that can be used for products that may require a softer look. Circle Incorporated has become the independent leader for Rotary slit board for the book and 3-ring binder market. Our Rotary slitting operation is the most accurate in the industry and produces panels as small as 4" and as large as you need. We can run calipers ranging from .055 pt. to .150 pt. 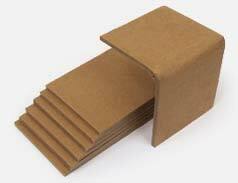 and it is the most accurate way to convert cover board with tolerances held on squareness to .00075". We ensure these tolerances are maintained by having each stack of board visually inspected and checked for dimension and squareness. This constant quality check means that only high quality product is shipped out to our customers. Caliper Range from .055 pt. to to .150 pt. 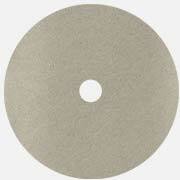 Circle Incorporated has two 500 ton press vertical stroke Die Cutters. Our Die Cutters have the capability to convert a range of materials from wood, steel, leather, fabric, rubber, paper and more. 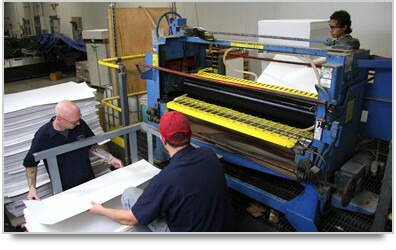 Each machine has a large bed and can utilize a die of up to 75" x 84" to accommodate almost any job. The nature of a vertical stroke die cutter combined with excellent die making means our tolerances meet or exceed most industry standards. 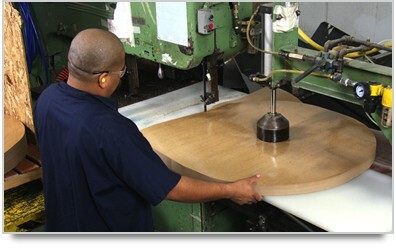 Circle is the leader in heavy caliper die cut chipboard, die cut rubber flooring, and many other die cut applications. 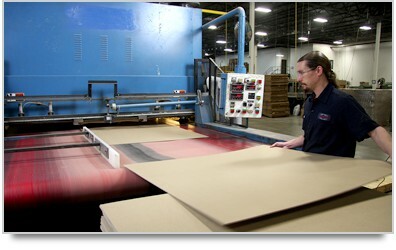 Circle Incorporated has 4 guillotine trimmers that can produce over 1 million chipboard pads a day! 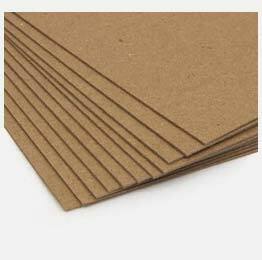 Our cut to size chipboard pads are the cleanest in the industry and our cutting methods produce the most accurate and square chipboard pads possible. With up to an 85" cutting blade there are very few jobs that we can't handle on one of our trimmers. Can trim calipers from .010 - .300 pt. Circle Incorporated's band saw cutting is an excellent converting method for high volume and efficient converting of Roll Headers. Our equipment can convert a lift up to 12" thick and diameters up to 68". 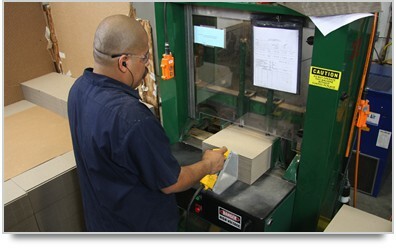 With minimal set-up and high efficiency our Band Saw cutting allows us to handle high volume as well as smaller orders. 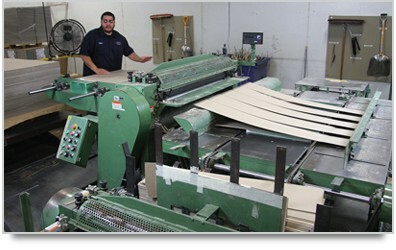 Combined with our Die Cutting capabilities, the Band Saws give Circle Incorporated the ability to produce a wide range of Roll Header products. 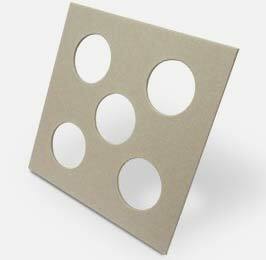 Circle's Round Cornering equipment gives clean accurate round edges to the panels we produce. 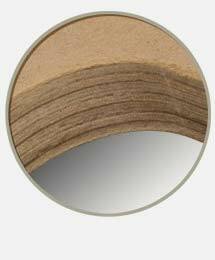 Typically used in 3-ring binders for vinyl sealed or laminated covers our round corner board is held to the same high quality standards as our other cover board products. 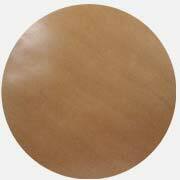 Any of our book board grades can have a Round Corner Finish for any application you have. Our Sheet Laminating line allows Circle Inc. to create any caliper the customer asks for. 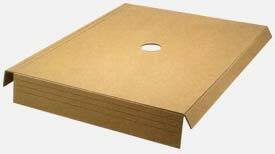 The versatile sheet fed process also can create cross grain laminated chipboard as well as specialty board like pasted solid white or solid black. The even glue application combined with the 62" press section gives the flattest most reliable pasted chipboard due to curing under pressure.